Oh won't you sit with me? Oh can't you hear my voice? 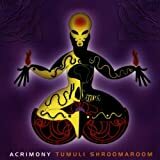 All Acrimony - Vy lyrics are property and © copyright of their respective owners. All Vy lyrics provided for educational purposes only.